There's an impressive line up already announced for this year's Glasgow Comic Con, which will take place at the CCA Glasgow. GCC is Scotland’s number one comic book festival, bringing in people from across the UK to celebrate the art or creating comic books. 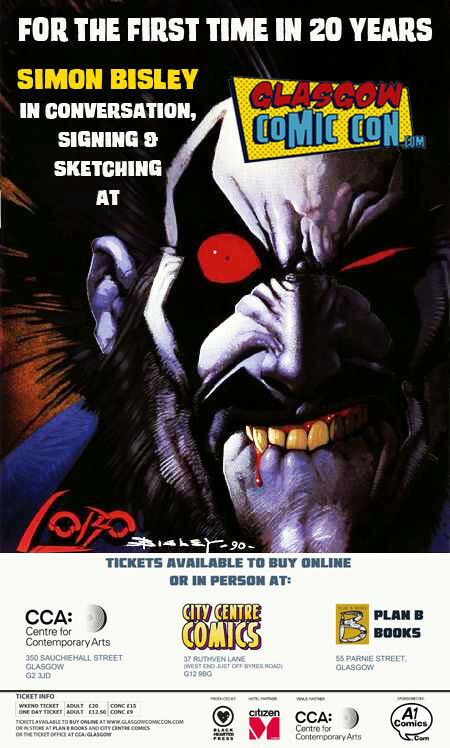 The organisers tells the event has grown from a love for the medium and hole in the market place - and no doubt helped by Glasgow's position as a major centre of comic book creators. 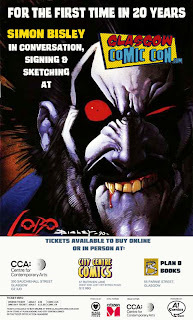 A recently announced addition to an already impressive roster is Eagle and Eisner Award winner Simon Bisley, an artist best known for his work on 2000AD's ABC Warriors and Sláine, along with Judge Dredd/Batman and DC Comics Lobo. His work has inspired various forms in media, including the Beast in the 2006 Doctor Who episode “The Satan Pit” and Simon Pegg’s character Tim Bisley on Channel 4[s sitcom Spaced. Tanya Roberts and more to be announced. 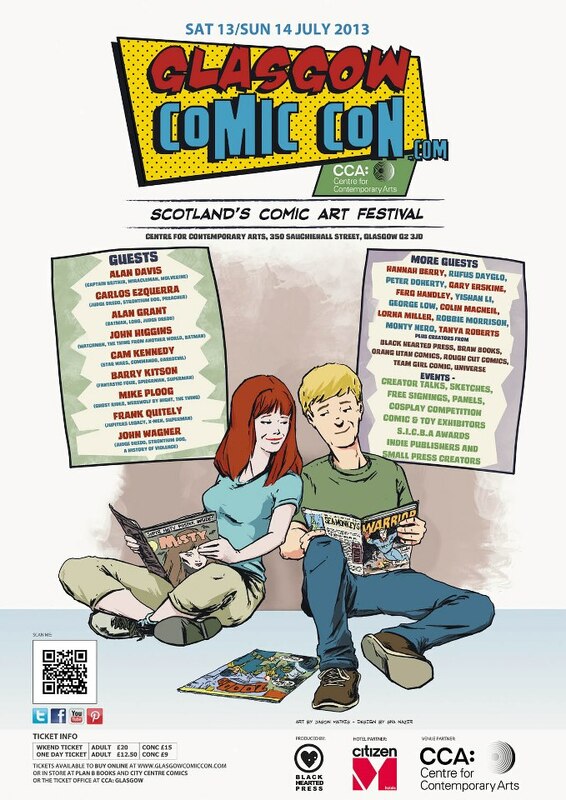 Further to the many talks, panels, signings and sketches taking place, some of the UK's leading independent comic book publishers will be on hand, including Scotland's Black Hearted Press and publishers Com X, Jonathan Cape, Orang Utan Comics, Rough Cut Comics and a host of small press exhibitors, comic book shops, toy shops and many more exhibitors. 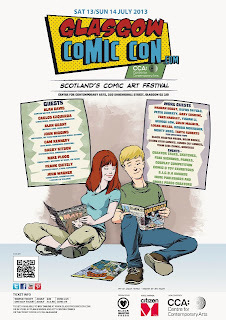 The event will also host the awards ceremony for the Scottish Indie Comic Book Alliance Awards, dedicated to the promotion of local comic books, graphic novels and sequential art in its many forms and comic creators; artists, writers, colourists, letterers, designers or editors. Winners from the 2012 SICBA awards include writer John Lees and artist James Devlin, as well as an Outstanding Contribution to comics award to David Alexander.